As the Garden Expert on WFSB's Better Connecticut show, I receive many plant and garden questions via email. This past year one theme kept popping up. Hydrangeas. When do I prune my Hydrangea? Why aren't my Hydrangea blooming? Oh Hydrangea, why must you be so difficult???? If I had a penny for every Hydrangea pruning question I would be so rich! Hi Julie, Enjoy seeing you on Better CT. Missed your show on "When to prune hydrangeas" and how far down should I cut? My husband pruned the plant in the spring and of course we didn't get any blooms this summer. Please clarify for us how to prune them. Thanking you in advance! The video from this past spring on pruning Hydrangeas can be seen by clicking HERE. ...First, let me say that this year was NOT a good year for Hydrangeas. I have had so many people tell me they lacked blooms it isn't even funny, so don't blame your husband yet! There is no simple answer- it all depends on the type of Hydrangea. I will assume it's a Hydrangea macrophylla as these are the biggest noodle scratchers. If it's a newer plant- like an Endless Summer, you can prune to a healthy bud that's a couple inches above ground level. Endless Summer Hydrangeas bloom on new and old branches. If it's an older variety, then you have to leave the branches as buds form on the previous year's growth. These older varieties are very sensitive to temperature fluctuations. I have Endless Summer Hydrangeas and prune them nearly to the ground every March. I get blooms every year. If you don't have Endless Summer Hydrangeas, get them! They are so easy and will prevent marital tension caused by improper pruning! Varieties like Hydrangea arborescens- the most common variety is the Annabelle Hydrangea- get cut down to the ground in fall or spring depending on the gardeners preference. 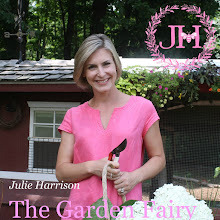 Hydrangea paniculata can be pruned by cutting the branches back my at least two-thirds. And remember, be gentle on a spouse that prunes. Plants are very good at forgiving, and we should be the same. If you would like to contact me, please don't reply to this email. Please visit my website www.juliesharrison.com and go to my 'Contact' page. Thank you!